Some musicians are iconic for the music, some for their personal lives, and some for who they became after their music career was finished. Today’s featured artist is world renowned for all three. His time in one of the greatest bands in history is legend, but his solo career was nothing to shake a stick at either. With 55 million albums sold solo and well over 100 million with the band—it’s easy to argue he deserves legendary status. John Michael Osbourne was born on December 3,1948 in Birmingham, England. Born into a working class family, mom worked days at a factory while dad worked nights as a toolmaker for GE. John had three older sisters and two younger brothers, all crammed into a small two bedroom home in Aston. He was diagnosed with dyslexia at a young age, and tended to gravitate toward performing instead of academics. At a very young age, he was given the nickname Ozzy, and it has stuck with him to this day. At age 14, he first heard the track “She Loves You” by The Beatles, and that inspired him to become a musician instead of actor. Ozzy left school at 15 and took a variety of blue-collar jobs to fund his ultimate dream. In spite of tough roads, including getting arrested for attempted burglary and spending six weeks in prison, Osbourne would eventually find Black Sabbath in 1967 and become a rock legend. In 1979 after conflicts within Sabbath became too great, Ozzy ventured on a solo career, putting out his first record in 1980. With the smash single “Crazy Train,” his first album would sell over 5 million copies and he was off to a running start. Today I’m listening to No More Tears, which was released in September of 1991. It was his sixth solo effort and released to high expectations. With four singles hitting top ten in the charts and generating Ozzy’s lone Grammy Award win, the record met those and then some. It sits slightly behind his debut album for total worldwide sales, with just over 5 million as well. This marked the first time Ozzy used outside writers for certain tracks, not relying solely on himself or his bandmates for content. Lemmy of Motorhead contributed to a handful of songs, and you can hear his influence if you’re familiar with his work. The album received generally positive reviews, but in the early ‘90s, rock music was beginning to change from this harder style, and it took some hits because of that in the mainstream. Oddly enough, this is an album I grew up with. While I was only seven or so upon release, between the major presence on MTV and my family playing the album over and over again, I could probably sing along with most of the tracks despite of not hearing them for a decade or so. It’s a very unique blend of pop and hard rock, something I’m not sure many other than Ozzy could pull off. When bands like Metallica decided to go that direction, everyone argued they had lost their edge; Ozzy didn’t get that sort of feedback. He took an obvious radio single like “No More Tears” and added the insane bass line riff and threw in some hard drums and you can almost pass it off as a metal tune – Ozzy was one of the best in the business at that. And his vocals are so signature, gruff yet polished, his work is absolutely unmistakable. 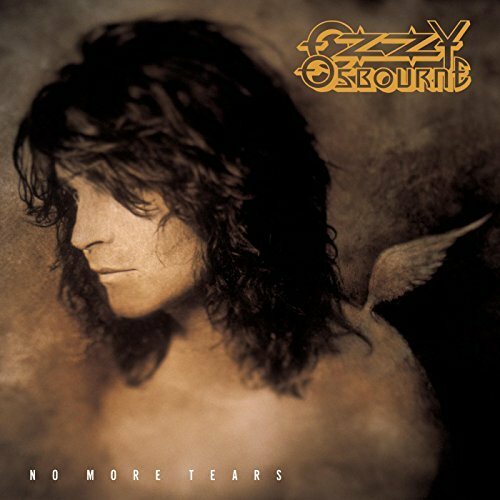 If you’re a fan of Ozzy, Sabbath or rock in general, No More Tears is an album you’ll find at least a couple tracks you’ll enjoy. If you’re not, the more ballad-esque pop tracks are there for you too. It’s maybe not a Top 100 in history type album, but well worth $5 bucks – heck, probably even $7.